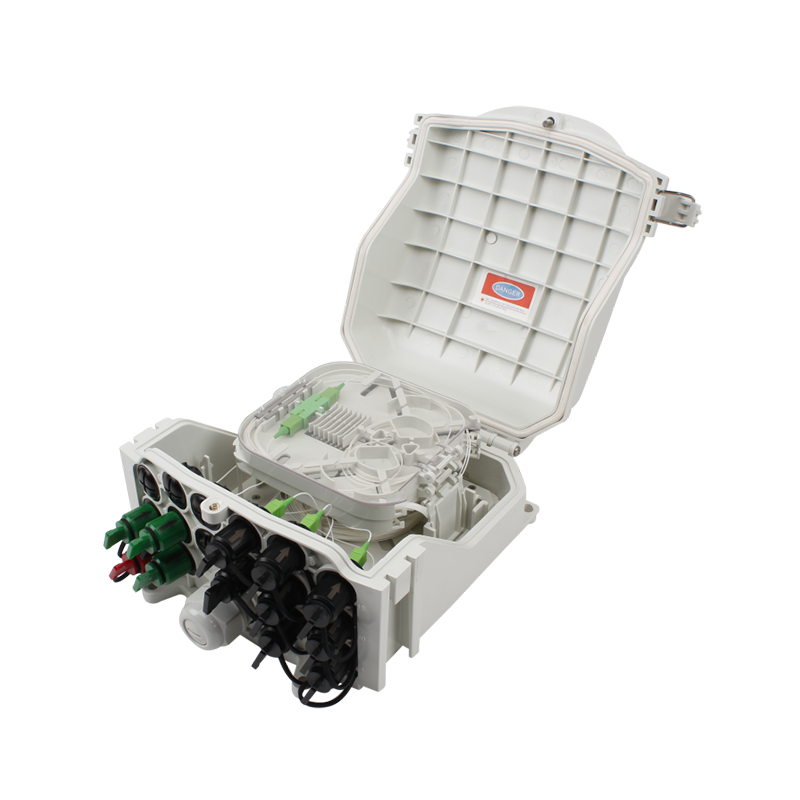 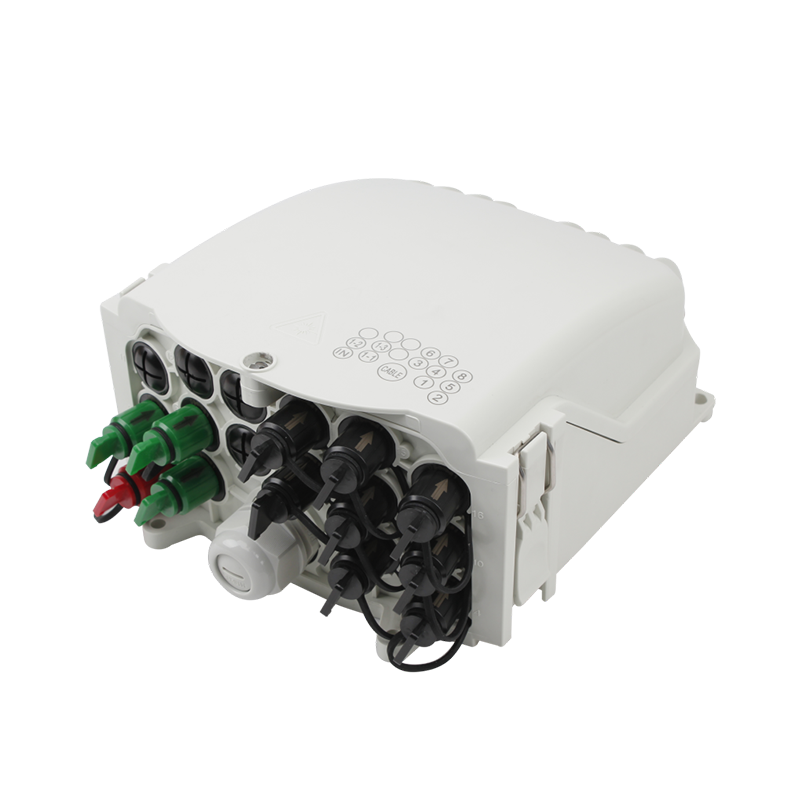 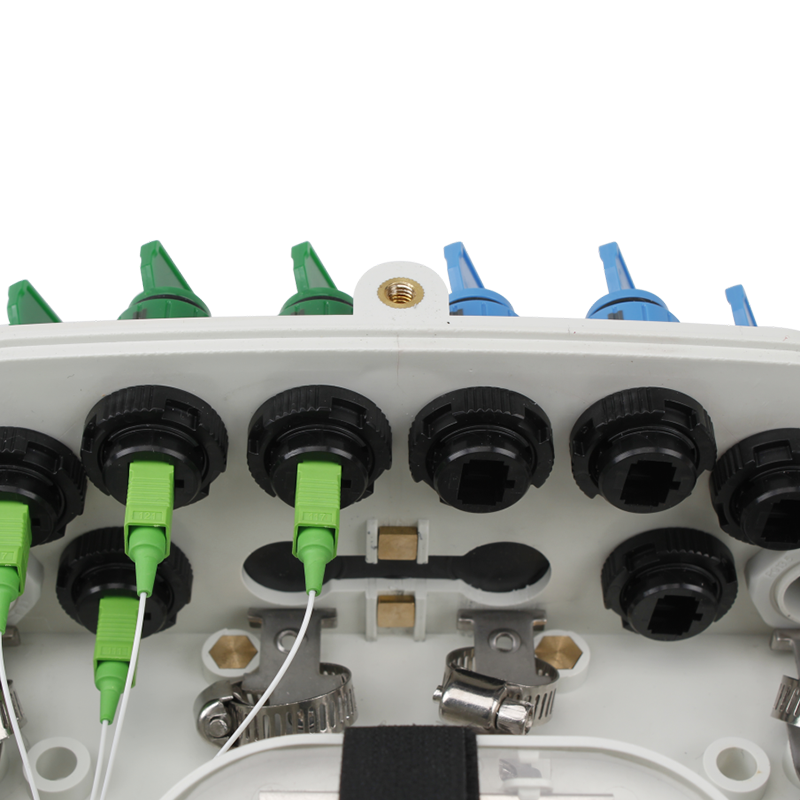 This 8 port Indoor / Outdoor Wall / Pole Mounted FTTH Optical Fiber Splitter Distribution Box with Waterproof Fast Connection is used for wall mounted or pole mounted splicing and termination. 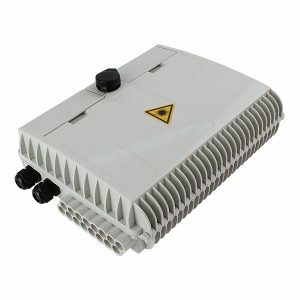 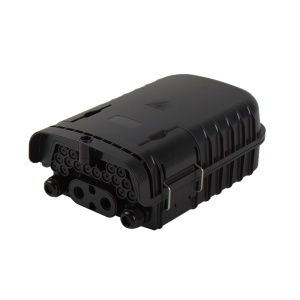 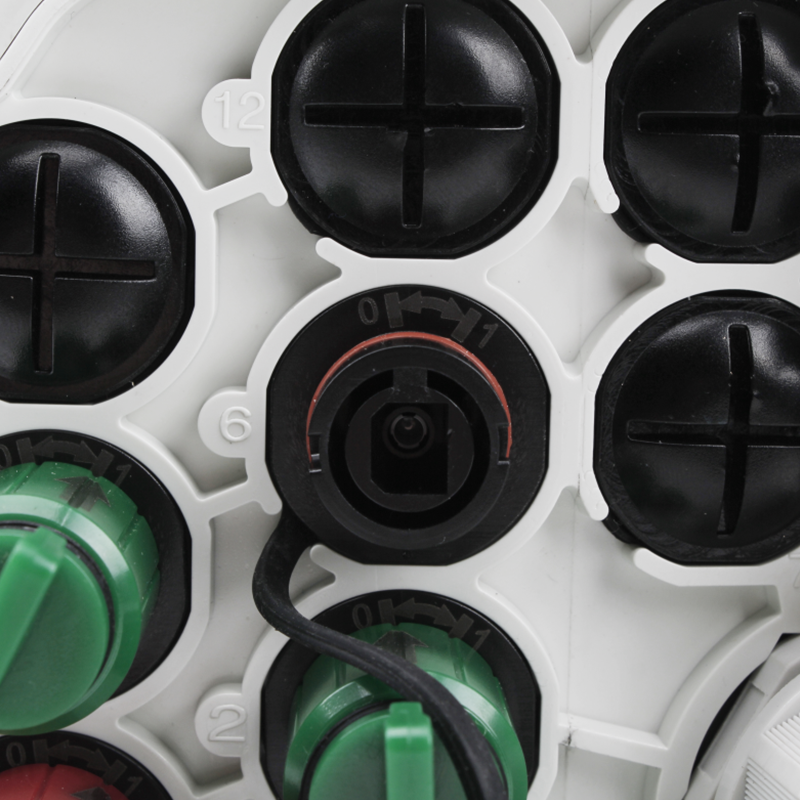 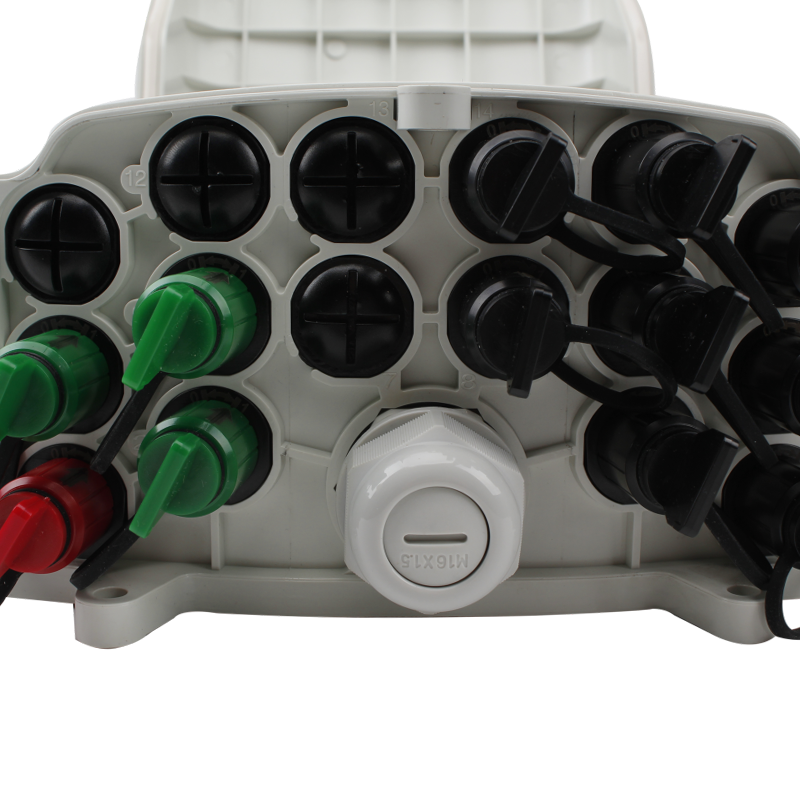 It can come with 8 pcs waterproof SC adapters to fit with SC waterproof connectors directly,which will make the outdoor cabling extremely easy by plugging into the adapters. 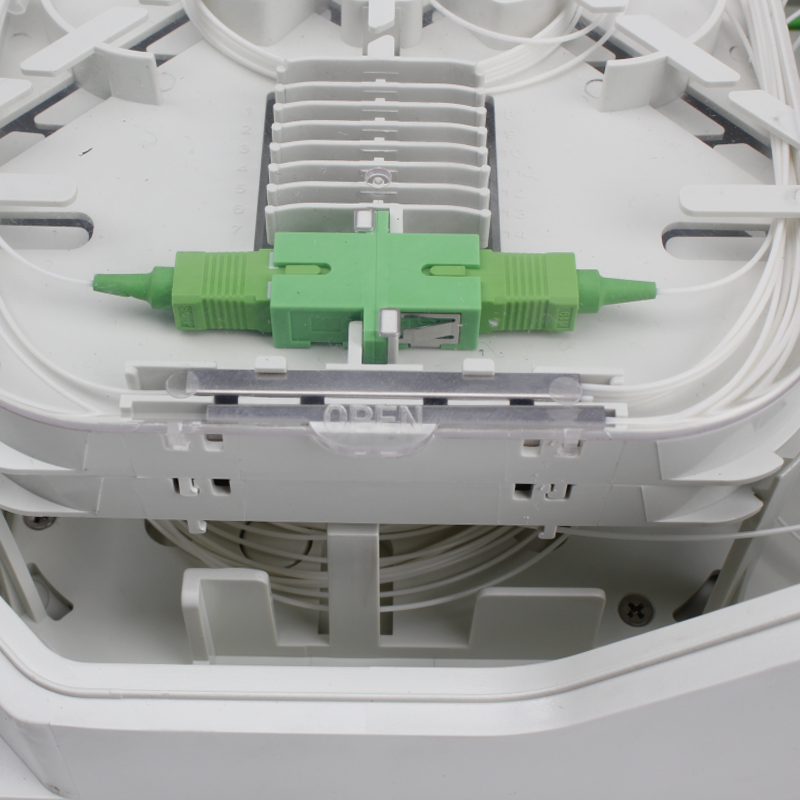 When you don’t specify,this Fiber Splitter Distribution Box does not contain this kind of waterproof adapters. 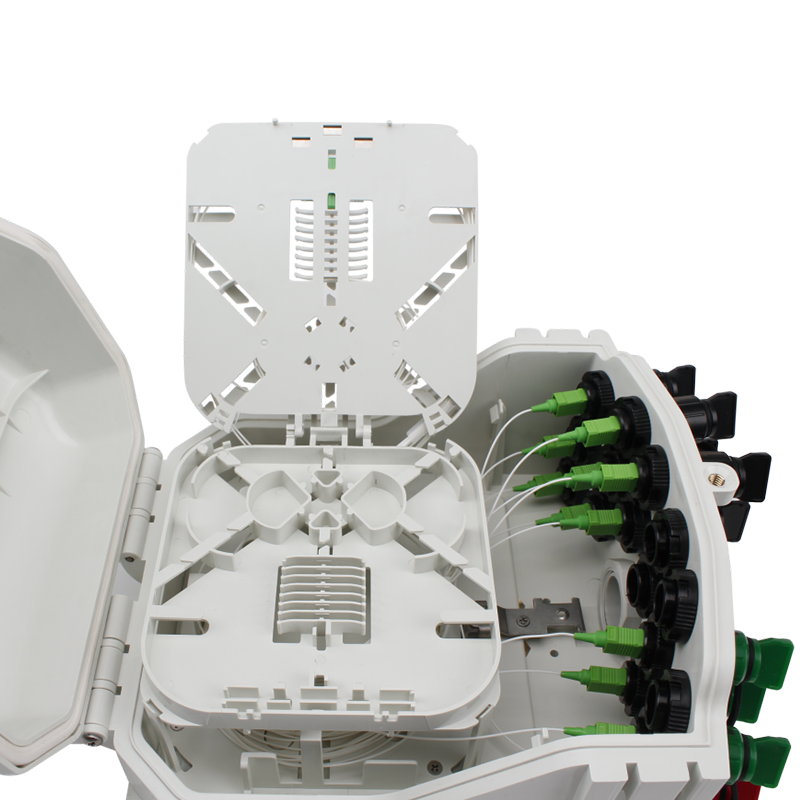 What items are included in this 16 port Indoor / Outdoor Waterproof Fast Connection Wall / Pole Mountable FTTH Fiber Splitter Distribution Box? 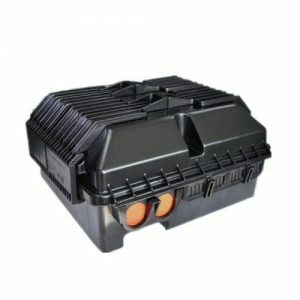 A main parts (cover and base), 8 screws, 1pcs key and 16 pcs heat shrinkable sleeves.